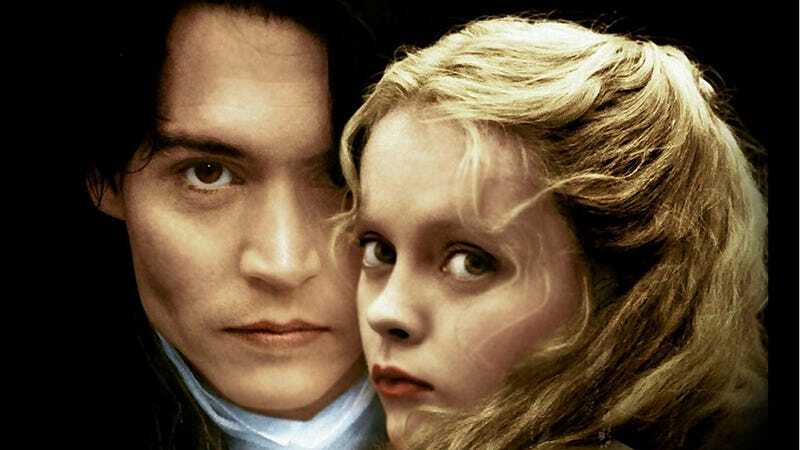 Just before the turn of the century Tim Burton and Johnny Depp worked together on Sleepy Hollow, a movie that played into both of their strengths. Like the current television show it takes many liberties with the original Washington Irving story. I recently rewatched it and to me it held up well. Burton's Sleepy Hollow is a dour place, the houses leaning together for support, the shutters slammed against newcomers. There is never a sunny day here. The faces of the village fathers are permanently frozen into disapproval. Johnny Depp's Ichabod Crane is the kind of fastidious dandy that Depp does well. Crane is in the hamlet of Sleepy Hollow to investigate a series of bizarre murders where the victims have all been decapitated. There is an actual mystery that makes sense when you realize what's going on. I had completely forgotten that Christina Ricci's character was named Katrina Van Tassel (a character from the original story). This Katrina is much younger than the TV version (Ricci was still a teenager when it was filmed) but in less than two hours the movie Katrina is more developed as a character than TV Katrina after almost two seasons. But the pale eyebrows still freak me out a little. Sleepy Hollow was made before Tim Burton took up with Helena Bonham Carter so Lisa Marie has the featured minor role here as Ichabod's mother. Anyway it's a decent movie and a must see if you're a fan of Tim Burton, Johnny Depp or Christina Ricci.